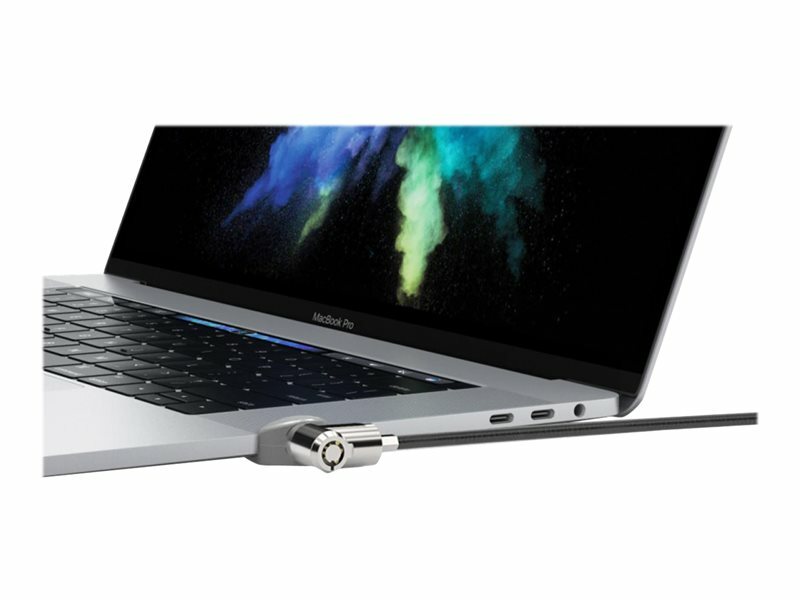 Compulocks – Maclocks Ledge security solution for MacBook TouchBar Lock : Security T-Bar Lock Slot adapter with Keyed Lock Security Cable for the NEW 2016/17/18 Macbook Pro Touch. Contents: Ledge T-Bar Security Adapter & Keyed Cable Lock. 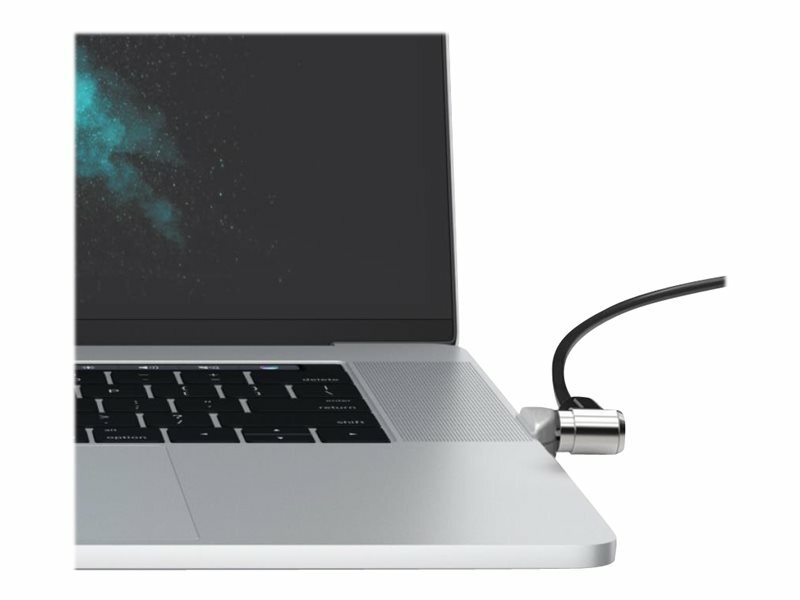 TABFRAMES: The Macbook Pro Touchbar does not have a security slot , therefore if you need / want a security cable this is a great solution: Compulocks – Maclocks have made their popular Ledge security adapter now compatible with the Touchbar laptop. It is quite easy to install : you remove one screw and replace with one provided (tool kit in pack). This (MBPRLDGTB01KL) is the keyed version (comes with two keys) . There is an alternate combination version and just the adapter by itself. Want a combination lock ? 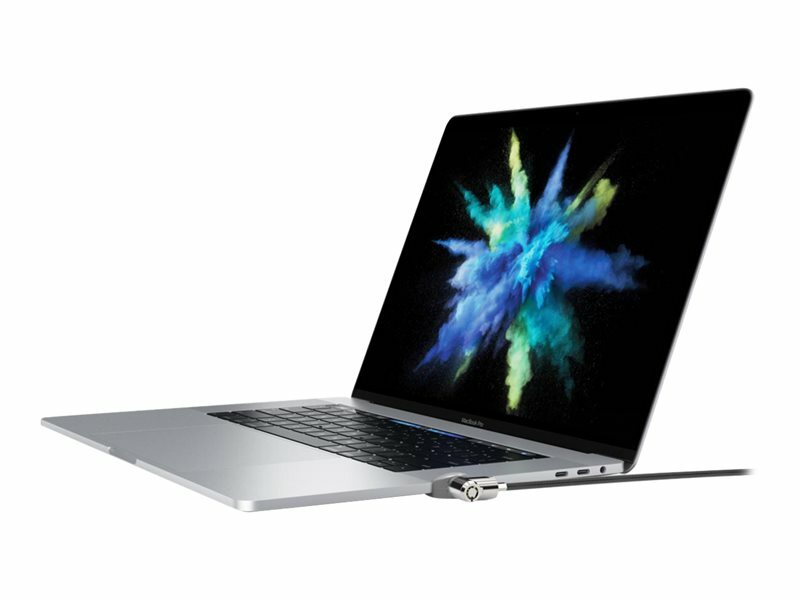 Already have your own t-bar cable and are just looking for an adapter ?